"In my family, we say 'It matters not what someone is born, but what they grow to be'. SOUNDS Academy has given my child an opportunity to blossom. SOUNDS Academy has unlocked my daughters inner passion and creativity. Thank You!!!" "I choose to have my sons in SOUNDS Academy because they care. The dedication of the organization is truly heart felt in everything that they do." SOUNDS Academy has provided my daughter with an exceptional learning experience! In these times of drastic school cutbacks, most especially in music and the arts, they have created an environment for our kids to persevere, thrive, and grow beyond expectations. The instructors are excellent role models and build lasting relationships with their students. SOUNDS Academy has been a great blessing for my children. Ever since they began lessons their love for music has only grown. I hear them practice every day and anxiously wait for their next lesson. I had trouble finding something that my 8 year old would be passionate about. Although she was initially hesitant and reluctant to taking piano lessons, she was quickly won over by the music and her music teacher; Ms. Janie. She now sets piano goals for herself and can't wait to continue learning and growing. "SOUNDS Academy allows my child to build confidence and discipline in herself and belief in her musical abilities." "SOUNDS Academy is making a difference!" "I like playing music because it allows me to step into my own private world. In this world all of stress is relieved. I like to come home from school and practice." "Sounds is a great way of exploring new music in life"
SOUNDS Academy has taught me not only to become a better performer, but a better person, whose value of character has grown under the nurturing guidance of my teacher. 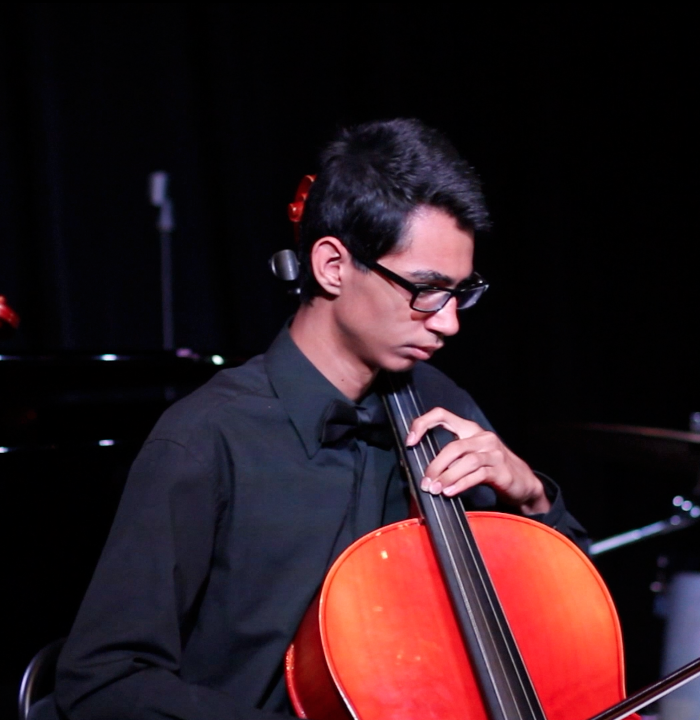 "I like SOUNDS Academy because they allow me to learn a lot, teach me how to write my own music, and help prepare me for youth orchestra auditions. They encourage and allow me to be confident and extraordinary." "SOUNDS Academy taught me how to conquer my fears and put myself out there because you never know what you'll learn about yourself." "I am very thankful to be a student of SOUNDS Academy because they allow me to put smiles on the faces of friends and family members when I perform the different songs that I have learned." "Instruction in the creative arts are integral to the development of children's problem solving, logical reasoning, and self-esteem. SOUNDS Academy fills a deficit in the current US educational system by providing the space to develop these skills." "SOUNDS Academy fosters well rounded individuals of tomorrow. Especially in areas where music programs are cut in schools. Children now have the ability to visualize if music can be a career option for themselves while doing a service for their community." "Music is something the I can do and get lost in. It alps me disconnect from life and come back refreshed. I'm glad that SOUNDS Academy is helping to refresh our children." "SOUNDS Academy provides a climate, through private lessons and group activities, that enables all students to reach their artistic potential. SOUNDS academy instructors provide artistic instruction, which enhances student’s academic ability, by providing training that strengthens characters, clarifies judgment and refines sensitivity. These personal developments are key to academic and career success. Music and academics work hand in hand to cultivate youth that will greatly enhance our society."